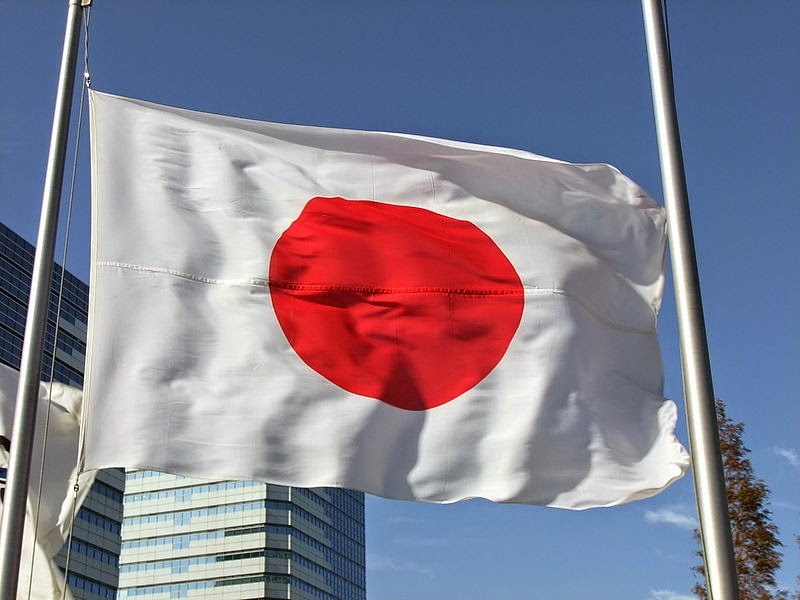 The State of Japan today faces a number of challenges in terms of domestic and foreign policy. In a way, perhaps the biggest problem is a reluctance to address and deal with the most important issues Japan faces. However, if this reluctance can be overcome, I want to believe that there is hope for a bright future for Japan and for a return to a position of leadership in the East Asian region of the world. Probably the most critical long-term issue for Japan is demographic. The death rate is higher than the birth rate and this is causing cultural losses, societal problems and economic problems as the tax base grows ever smaller while the elderly population requiring government support grows massively larger. Unfortunately, when it comes to demographics, there is not much one can recommend in terms of policy. The only solution is the “natural” solution. Because of the ballooning national debt, something will have to be done and it will absolutely involve some pain and hardship to cut unnecessary expenditures. However, my vision for Japan includes some proposals that might help that situation in the long-term. There must be a cultural revival in Japan to combat what the noted journalist Yoshiko Sakurai called “spiritual statelessness”. As she wrote, “That we Japanese alienated ourselves from the origin of our culture and civilization has been the single biggest cause of this condition that continues to plague us today”. That must be corrected through state action in education and privately in society with campaigns to reacquaint the public with the founding stories and ancient history of the country. There must also be an emphasis on traditional values, particularly family values which, hopefully, would lend itself to encouraging larger families. Obviously, the monarchy would be central to such an effort and this ties in with another major proposal which is constitutional reform. There are many changes that should be made but one that I would highlight is for HM the Emperor to be officially recognized, once again, as the Head of State. Conferring sovereignty would probably be unrealistic in this day and age and may not even be of much practical use but recognizing, in law, the Emperor as Head of State would be a major positive step. In addition to this, the Self-Defense Forces should be reformed as a formal military (rather than an outgrowth of the police) with the Emperor as the Commander-in-Chief of the armed forces. I have no doubt that virtually every member of the JSDF currently considers this the case in their hearts anyway but it should be made official in law for the sake of cohesion as well as tradition. A constitution that embodies the Japanese spirit and which has its roots in Japanese history and legal tradition is what is called for. Some streamlining would also be extremely helpful to cut through the tangle of bureaucracy that exists today so as to make changes for new situations easier. Certainly if the existing Constitution is to be maintained (as opposed to having a new one which might be just as well) it is essential to make it easier to amend with public support than is currently the case. Too often, the Diet is where ideas go to die, where measures to address a current crisis are strangled or delayed to the point that they are no longer useful by the myriad committees and sub-committees that all proposals have to circulate through. While I would like to see the House of Peers restored, this is probably unrealistic but it should at least be possible to see the old aristocratic titles restored to legal recognition. As for the peace provision of Article 9, that may be retained. Doing away with it would probably be unrealistic and it is not absolutely necessary anyway. It does provide for taking action in self-defense, it is only that this should be used more energetically and not interpreted as meaning that Japan can never fight no matter what the circumstances. No country should want to be aggressive but there should be no hesitation in taking action against real threats nor should there be any hindrance in coming to the aid of a friend and ally that is in danger. This is largely what the current re-interpretation by the Abe government has been about and that should definitely continue. It would certainly be essential for the vision I have for Japanese foreign policy going forward. It is based on the proposal made by two Catholic priests, Bishop James E. Walsh and Father James M. Drought who tried to reconcile the United States and Japan in 1940 and 1941. The proposal was for a Japanese “Far Eastern Monroe Doctrine”. My proposal would be slightly different of course, taking into account the considerable changes since 1940, particularly the end of European colonialism. Most simply it would mean that Japan would take a leadership position in East Asia and assume responsibility for safeguarding peace and stability in the region. If any threats arise it would be Japan that would handle them with no interference from outside powers (which would not exclude, of course, requested assistance provided with Japanese authorization). In 1940, the proposal of the two American Catholic priests was aimed primarily at stopping the spread of communism in China. Bishop Walsh was a very experienced missionary in China, understood the threat very well and was, in fact, the last missionary in China after the communist takeover. Today, such a doctrine would be aimed primarily at containing the communist threat as mainland China has become increasingly expansionist. Under this doctrine, Japan would stand ready to contain such aggression and assist any country targeted by the Chinese government. Obviously, Japan would have to adopt a new and more assertive attitude and strengthen considerably to take on such a responsibility but it is not unrealistic that this could be accomplished. Naturally, China, Russia and Korea would oppose such a doctrine but there is no point in giving them much consideration as they practically oppose Japan simply drawing breath. However, one provision that would hopefully allay fears at least on the part of Korea would be that no existing alliances would be affected by this new policy. That would mean that the United States could retain its current defense agreements with Korea which would hopefully act as a ‘security blanket’ to reassure the South Korean government and mitigate any fears they harbor toward Japan. Long-term, it may also help alleviate tensions particularly on the part of South Korea and Taiwan by emphasizing the necessity of working with Japan for the sake of their national security and the stability of East Asia. As countries such as Mongolia, the Philippines, Taiwan and Vietnam have all been threatened by Chinese expansion, a strong deterrent force is needed and Japan is uniquely positioned for such a role. In 1940, the United States did not recognize the danger of communism (as Tokyo did) in China but, although they would never admit it publicly, it has shown by American policy to have realized this was a mistake by supporting Japan and opposing China. So, because of the lessons of history, what America and other western countries would have opposed in 1940, they are willing to support today. This is illustrated by how supportive the United States and Australia have been on the subject of the reinterpretation of Article 9 by the Abe government. If the Japanese public has the will to embrace such a leadership role, there would be no better time to do it. 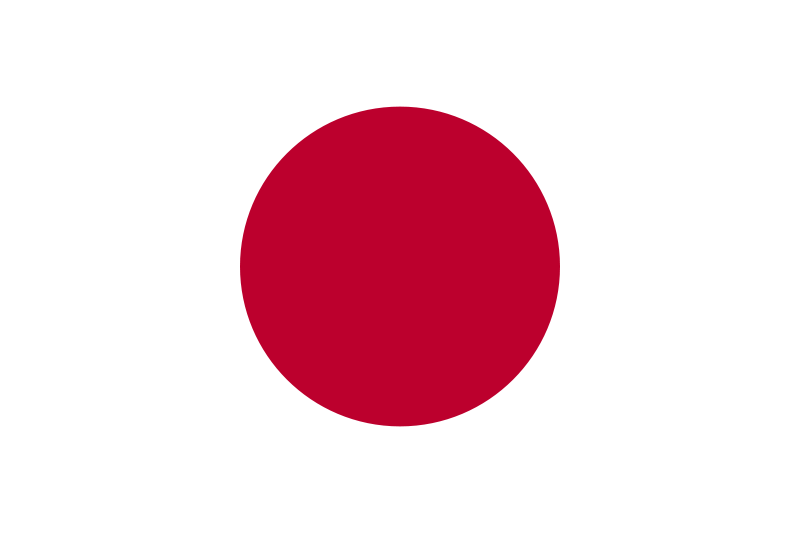 Currently, Japan has in the United States the most militarily powerful country in the world as an ally and so can strengthen the Japanese armed forces (as they should be re-designated) in safety until Japan is fully prepared to take on this responsibility with the support of countries on both sides of the Pacific. Should problems arise with China, Japan, particularly the strong naval tradition and very advanced warships of even the current JMSDF, would be strategically placed to cooperate with Taiwan and the Philippines to cut off the exports that the Chinese economy so heavily depends on. Also, with naval mastery, Japan is ideally placed to respond quickly to a crisis in almost any East Asian country. The primary goal which must be achieved to bring this about is a change in the attitude of the Japanese public, on both sides of the political divide. The mainstream right seems most prepared but the left must be persuaded to discard the mentality of idealistic pacifism and dependency while the far-right must stop trying to re-fight the Second World War. Both are equally detrimental to Japan moving forward as a leader on the world stage, the one by trying to appease current enemies and ignore the Japanese spirit and cultural heritage, the other by holding on to past grudges that would retain and even encourage the hostility of countries currently unfriendly toward Japan while also adding to that by making enemies of current allies. 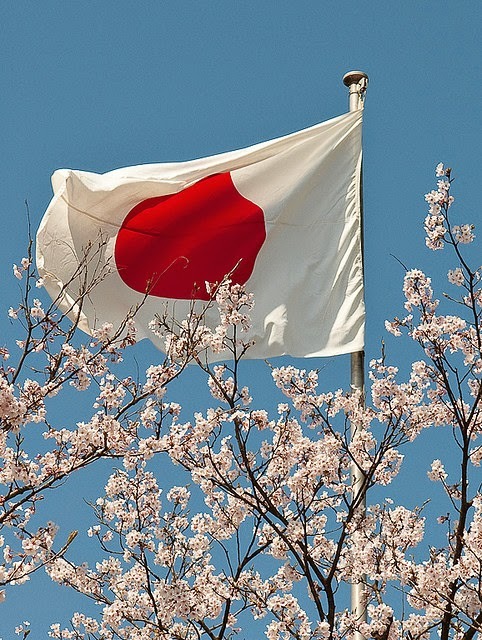 In the years since 1945 Japan has rebuilt and become one of the most prosperous countries in the world, even with all of the current debt problems still the third leading economy on earth. It is simply improper for a country that has achieved such a level of success to continue to refrain from accepting a position of leadership and responsibility on the world stage. The possibilities are almost boundless considering what Japan has achieved in the past combined with all the additional potential Japan has today with a much larger economy and far better relations with virtually every major world power other than the Sino-Russian bloc. 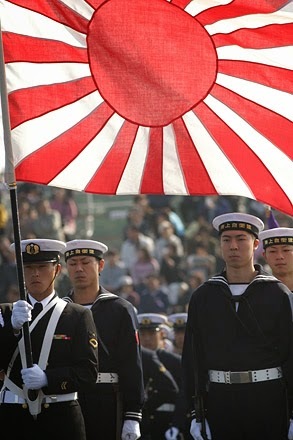 Japan has a higher GDP than any country other than China and the United States, the Self-Defense Force is one of the most advanced in the world and Japan has a military alliance with the United States and security pacts with Australia and India. 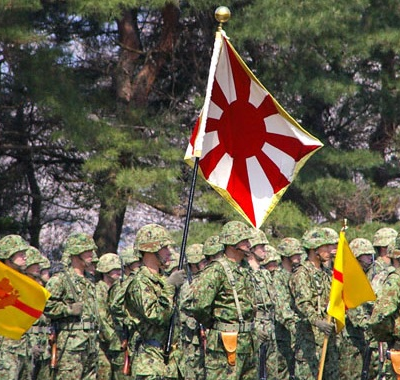 There has never been a better time for Japan to begin the move towards a position of regional leadership in East Asia. This, combined with a cultural revitalization of the national spirit would allow Japan to become a world leader in a mature and balanced way that was never attained in the past. The future can be the period of the greatest glory for Japan and all that is required is to strengthen militarily, cut down the debt, reform or replace the constitution, revive the national spirit and have more babies. None of these things are impossible, it is only the will to undertake this challenge that must be motivated. Interesting. Are you going to do every monarchy eventually? How about Canada next? I doubt it would be possible to do every one. For some monarchies there is just not much to work with, others I would just like to see maintained & carry on doing what they are doing. What I would like to see for Canada would largely coincide with the original post on the UK; joining in a new Anglosphere alliance. I totally agree with the idea for (Empire of) Japan to return back into the world stage and take up the burden of stabilizing the Far East. But there are two major problems of this process. The first problem is China-Korea-Russia, because these countries still currently hold up very huge economically power, which buff up the political power, of the world, even though many western powers are in favor of Japan being more "political aggressive", as you said in the article, they practically oppose Japan simply drawing breath, western powers will support less to Japan just because we don't want to lose the biggest buyer in the market. As the second problem is Japanese themselves. As you said the first thing they need to do is to emphasis on their Japanese traditional values. And the most important I think the Japanese should learn is the fact of the history, not "perspective the world want to impose" of history. Most Japanese scholars call the Japanese teaching as the "self-torture education". Especially for the Japanese children who were born during the Heisei Era, all they are learning is "how bad" the Empire of Japan was, "how cruel" the Japanese used to be. Young Japanese and Mid-age Japanese have already filled with the idea of "being a Japanese is a bad thing to the world history". This made the Japanese public to feel that being unable to possess military is the best way to secure the security of Japan and the best way to maintain good relationship around the world. Japan will not able to become a true powerful nation until the Japanese people overcome these two obstacle. Japan to take action to become the "police" of Far East. Lee Teng-hui suggested Japan need to have a "Heisei Restoration" just like "Meiji Restoration" in order to become one of the most important nation of the world. I do think that the biggest "weapon" China has currently is its huge market, and I'm less concerned about countries being militarily defeated by China than by Chinese economic pressure persuading them to submit willingly. However, they have a population bubble that is due to bust sometime and their economy is overly-dependent on exports so that the problem is not insurmountable. As for the much argued-about Japanese view of history, the real problem is that there is little to no balance. One side wants to portray Japan as being the worst ever while the other side wants to deny Japan ever did anything wrong ever. It is not healthy or desirable for a country to give in to self-hatred but claiming to be morally superior and totally spotless ensures no one will listen to you because it's just absurd. Both are dishonest and Japan has nothing to fear from the facts. Every country makes mistakes but no country is "all bad". As for Lee Teng-hui, I have of course heard of him and would agree with much of what he says (see the post on the Japanese colonial empire), however, I would not promote him for the basic reason that I am just not in the business of promoting any republican presidents. Let him become a monarchist and then I will promote him freely. I believe a recent poll showed that the overwhelming majority of Japanese don't believe in God (paradoxically many of them follow the rituals of traditional Shintoism, which exalts the Emperor to a deity of some kind as I understand it). Can any nation of atheists escape a low birth rate and spiritual listlessness. The emperor of Japan still has incredible clout and could be a shield for the Pacific against the Red Dragon (may it perish without honor and its times be interesting). Good post, thank you. That is probably true. Japan is an overwhelmingly secular nation but it is also true that such a poll may not be reflective depending on how it was worded. Certainly most people in Japan do not believe in "God" the way westerners understand the concept nor would many westerners even recognize Shinto as a "religion" in the same vein as Christianity, Islam, Judaism or Hinduism. To most westerners it would probably seem no more "religious" than reading a fortune cookie so just because it seems irreligious to western eyes does not mean that such is truly the case. That said, overall, there does need to be a spiritual reawakening in Japan. Even that may be expecting a bit too much but at least a revitalized understanding of the traditional stories, the founding legends and traditional values would be a great help.